You are here: Home / General Information / Animals Today March 16, 2019: Hot animal news! Microchip tips. Legislation to help horses. A rescue and sanctuary for foxes. We begin with animal news including the use of service animals and emotional support animals on airline flights is being further restricted, falsely claiming an animal as a service animal is being criminalized, an animal-free attraction is being considered in the site of the recently shuttered Dolphinaris Arizona, a woman was severely injured after jumped a zoo fence to take a selfie with a Jaguar, and more. Then, Lori reminds us how important it is that all animals in the family are microchipped, and how a chip reunited a dog with his guardian from 500 miles away! Then, what would happen to your animals if you were to die? Do you have your estate plan in place? Lori tells us what we need to do to make sure your dogs, cats, birds, and tortoises will be well cared for if you die before them. Peter then welcomes Lobbyist Chris Heyde, representing Return to Freedom Wild Horse Conservation. The Safeguard American Food Exports (SAFE) Act (H.R. 961) is federal legislation that would ban the slaughter of horses for food in the US and the exportation of live horses for slaughter. Heyde tells us about the bill and why it should be passed into law. Sponsors are Reps. Jan Schakowsky (D-IL) and Vern Buchanan (R-FL). After listening, contact your legislators and ask them to support the SAFE Act. We conclude with Mikayla Raines, who leads Save a Fox Rescue. 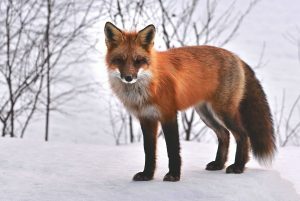 Save a Fox helps non-releasable foxes such as captive born foxes, pet surrenders and fur farm rescues. Raines shares a wealth of firsthand knowledge about keeping them happy and healthy, but generally, foxes do not make good pets.